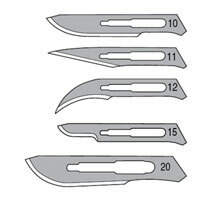 Disposable knives, scalpels and lancets are an affordable solution for sterile surgical instruments. 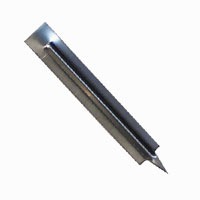 Lancets are safe to use for drawing blood from laboratory animals. They will not hurt the animal. They are easy to use for collecting consistent amounts of blood. These disposable lancets are sterile and inexpensive. NOTE: WPI surgical instruments are for laboratory research applications. They are not certified for use on humans. 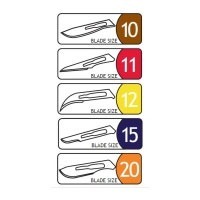 Disposable microsurgical knives come in packages of six. NOTE: WPI surgical instruments are for laboratory research applications. They are not certified for use on humans. 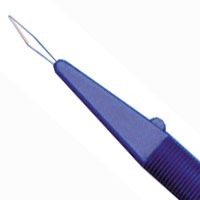 Disposable safety scalpels come in packages of 10 and are suitable for ambidextrous use. NOTE: WPI surgical instruments are for laboratory research applications. They are not certified for use on humans. 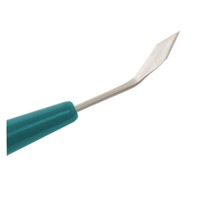 Disposable scalpels come in packages of 10 and are individually packaged as sterile units. NOTE: WPI surgical instruments are for laboratory research applications. They are not certified for use on humans.